Worldwide icon-chevron-right North America icon-chevron-right United States icon-chevron-right California icon-chevron-right Los Angeles icon-chevron-right Heidi Duckler Dance Theatre breaks tradition with site-specific works across L.A. When it comes to her dances, nobody has to tell Heidi Duckler to get out of her comfort zone. For 32 years, the choreographer’s dance company has been breaking out of the studio to perform site-specific works in nontraditional places. The first performance Heidi Duckler Dance Theatre (then known as Collage Dance Theatre) put on, Laundromatinee, was staged inside a local laundromat in 1988 and won a Masterpiece Award from the National Endowment for the Arts. Since then, Duckler’s dance troupe has performed all around L.A.—from inside the tunnels at the Southwest Museum in Mt. Washington to the old Lincoln Heights jail and Echo Park’s Barlow Respiratory Hospital. Unless it’s a commissioned piece, Duckler says the location is usually the initial inspiration. Sometimes, though, she has an idea brewing in her head for a while, just waiting to find the perfect setting. For example, she had an idea for a dance about Cleopatra for some time when a friend invited her to see the 52nd floor of a building in Downtown L.A. The masculinity of its architecture struck her. Then, after asking for directions to the women’s restroom, she learned there wasn’t one because no women worked on that floor. The company’s biggest challenge is getting permits from the city to perform at these various locations, which means it can’t schedule far in advance. 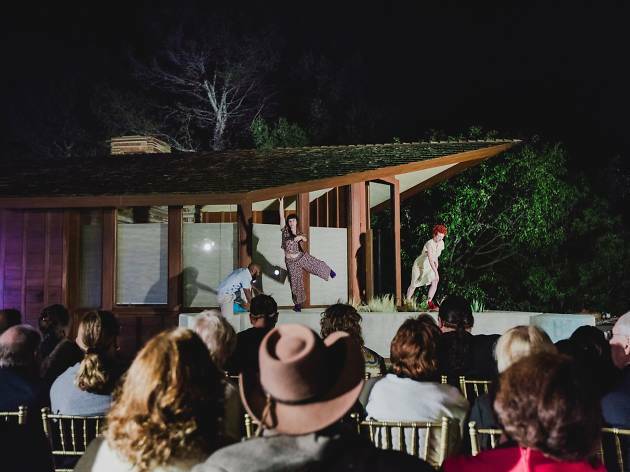 But the group’s loyal audience follows the company from place to place, and it gains new fans as unsuspecting onlookers stumble upon the performances. Duckler herself has been dancing since she could walk. She danced at Reed College and at University of Oregon but says she’s more of a choreographer—a discipline she studied at UCLA. She describes her style as contemporary but prefers not to pigeonhole her company into any one genre. Punctuation Station: The company dances on and around the public artwork Punctuation Station in a performance for the Culver City Centennial Celebration series 1988. Westfield Culver City, 6000 Sepulveda Blvd (310-390-5073, westfield.com/culvercity). May 7 at 5:30pm; free. Lake Enchanto: A collaboration with artist Kim West. this piece explores the concept of memory from inside an empty pool. 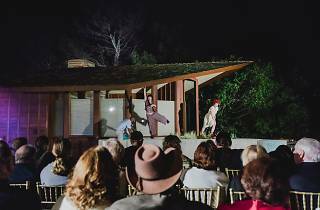 Peter Strauss Ranch, 30000 Mulholland Hwy, Agoura Hills, CA (805-370-2300, nps.gov). June 3 at 7:30pm; free. L.A. Maritime Institute. Port of Los Angeles, 2456 S Signal St, Berth 58 (310-732-3508, portoflosangeles.org). June 24 at 8pm; $25–$100. Visit heididuckler.org for reservations and tickets.